Ooo… it's a mermaid! 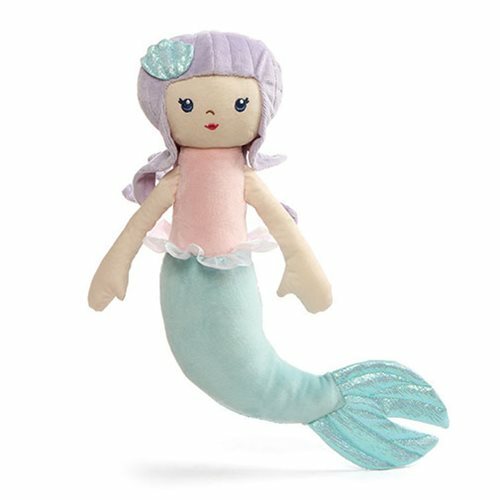 In beautiful pastel colors, this soft and snuggly sea person measures about 12-inches tall x 4 1/2-inches wide x 2-inches long. Don't you know some child who would just love to hug her?